ManageSport can offer a range of services to support the business of Sport. ManageSport has developed a number of short courses to help individuals be better at sport and exercise and be better at managing sport. ManageSport is owned and operated by Peter Annis-Brown and he commenced operations after leaving the Northern Inland Academy of Sport in June 2013. Peter has a diverse background in business ownership and management, is an accomplished sport/ health business practitioner and a well respected professional in the general field of health, exercise, sport business and sport management. 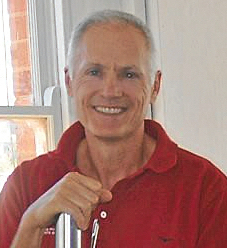 Previously Peter was the Executive Officer of the Northern Inland Academy of Sport (NIAS) for 15 years, 1998-2013. He holds a Master’s Degree in International Sport Business and Management, a Certificate IV in Fitness and Training and Assessment and is a Nationally Qualified Mental Health 1st Aid Instructor. Peter is also a Certified Project Director and sits on the Industry council of Fitness Australia. ManageSports objective is to provide the organisation or individuals they work with reliable and accurate data, services and education in a timely manner. Our research methodologies are chosen following extensive consultation with who we are working with to provide the most effective and efficient tailored services.